Situated in Sesmarias, 3 km from the centre of Albufeira, Hotel Baia Grande is a 4-star hotel overlooking the Atlantic Ocean, 800 metres from the beach. It has an indoor and an outdoor pool. Located in Albufeira, Family Villa in Private Condominium offers access to an outdoor pool and has 2 private parking spaces. The property is 2 km from Albufeira Marina and 2.1 km from Old Town Square. Set in Albufeira, this apartment features a patio and a garden with a barbecue and a sun terrace. The unit is 300 metres from Old Town Square. Free WiFi is available . The kitchen is equipped with an oven. A TV is offered. Located right next to Praia da Oura Beach, Golden Beach Apartamentos Turisticos has an outdoor pool and a spacious terrace overlooking the Atlantic Ocean. Several restaurants, bars and nightclubs are within 280 metres. 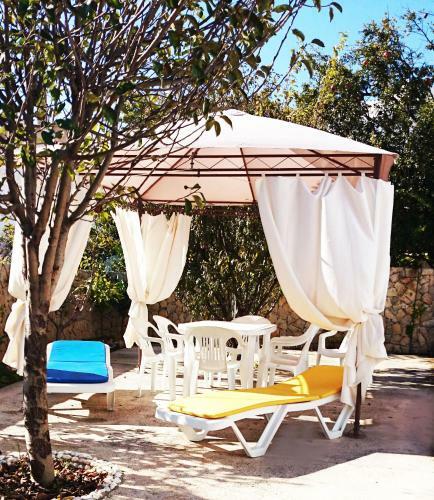 Peacefully set on the hills around Albufeira, this complex offers self-catering, Mediterranean-style accommodation and an outdoor pool surrounded by gardens. Salgados and Quinta da Balaia golf courses are within 3 km of Novochoro.